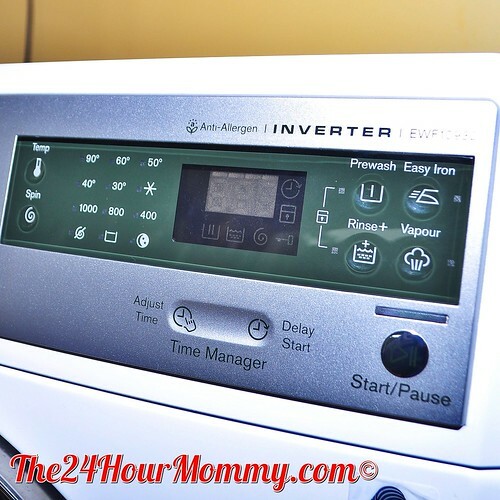 The 24-Hour Mommy: Electrolux Time Manager, Washing Laundry with Loads of Love + a Giveaway! 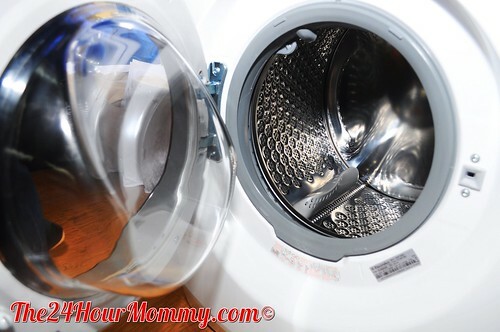 Electrolux Time Manager, Washing Laundry with Loads of Love + a Giveaway! One of the household chores that was assigned to me when I was still young was to wash the laundry every weekend. That was before the 90s and we didn't have a washing machine yet. I was really thankful when Mama finally bought a washing machine for us to use because, at 11 years old, my heart still ached for some play time with the other kids in our neighborhood. Besides, I already felt my hands becoming rough from all that washing. 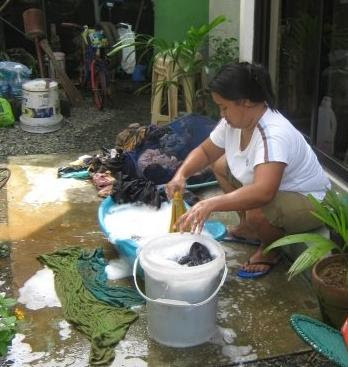 Washing "Ondoy-stricken" clothes manually because we had no power for a week. Dissolve detergent powder thoroughly before putting the clothes in the washer. This way, there will be no residues of detergent on the clothes. Also, make sure that your detergent is kept in a moisture-free area to avoid lumps. Pre-treat obvious stains. I used to wash my younger brothers' soiled clothes. I was taught to soak the soiled clothes in soapy water hours before it's washed in the machine to make cleaning easier. Sort clothes according to color, fabric, and use. My parents' office clothes and our school uniforms are always washed first before the houseclothes that are normally dirtier. Check the pockets for items such as coins and paper. I hated it when I miss to remove tissue paper from my sister's skirt pocket. Such a hassle removing lint and fiber after! Place small and sensitive pieces of clothing such as lingerie and brassieres inside net laundry bags before adding them to the load. Make sure to tie drawstrings before washing the shorts or pants in the machine unless you want to spend time untangling them after. Ah, memories! I'm glad that the experience has taught me how to do the laundry manually because it does come in handy when there's no electricity. Still, nothing can beat the convenience of washing clothes with a washing machine. Can you imagine how more convenient and efficient doing the laundry can be if your washing machine is an Electrolux Time Manager? This is actually my dream washing machine. Front load and fully automatic - my idea of heaven in the laundry area, haha! Well, you can't blame me. The Electrolux Time Manager washing machine is made to be a mommy's best friend. It's designed to take care of our laundry and give us more time to bond with the family or to spend a much-deserved "me time." The Electrolux Time Manager washing machine washes clothes more efficiently than other washing machines. 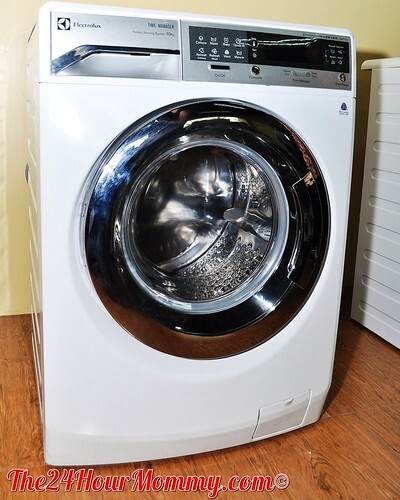 It is equipped with a Load Sensor that detects the weight of your wash load and recommends the amount of detergent and wash cycle needed. Of the many cycle choices displayed beside the dial, what I liked the most is the Refresh cycle. Under this, fibers of clothing are relaxed and wrinkles are steamed out making it easier to iron after washing. This can also be used on clothes that are stored inside the cabinet for some time. You get rid of the kulob smell on these clothes without fully washing and ironing them. Isn't this neat? The same Vapor Action feature that refreshes clothes also gets rid of 99.9% of household allergens. 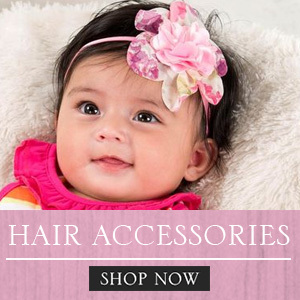 This is so perfect for baby clothing, don't you think? Also, don't get intimidated with the techie buttons of this beauty. The panels are easy-to-use because it's equipped with IQ Touch™ that makes instructions and program settings easier to follow. I once thought that front load washing machines are only for sophisticated households. I was proven wrong when I learned that front load washing machines actually use less water than their top load counterparts. This simply means lots of savings on our water bill! What sets the Electrolux Time Manager apart from other front loaders is its X-tra wide door and Lily Drum with Leaf Lifter. The Leaf Lifter gently lifts laundry as it tumbles inside the drum while the unique Lily Drum pattern effectively cleans clothes by increasing surface contact. 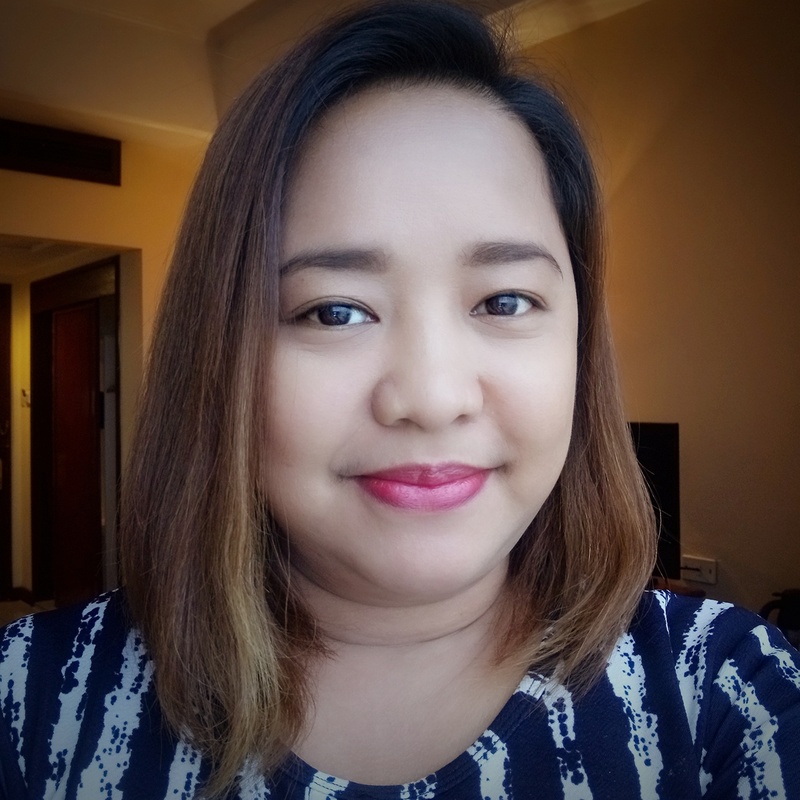 Meanwhile, as part of its commitment to its "Thinking of You" philosophy, Electrolux took a step forward in after-sales service by opening its Customer Service Hub in Makati. The CS Hub is not only a service center but is also the place to buy spare parts for Electrolux and White-Westinghouse appliances. It's also a training facility for those who want to become Electrolux Qualified Experienced Service Technicians (QUEST) and a shop of accessories for small appliances. As a treat for you, my awesome readers, Electrolux is giving away a Wash Loads of Love Laundry Set for one lucky blog commenter! 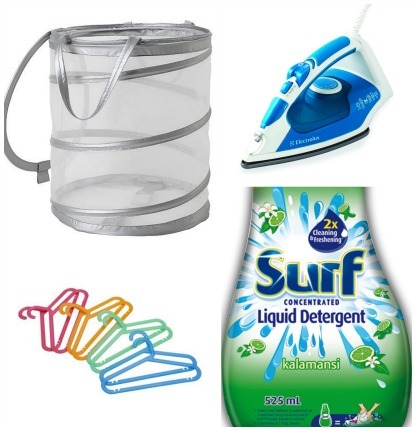 Just tell me what you like most about the Electrolux Time Manager and how it can help you save time doing the laundry! The winner will receive an Electrolux Steam Iron ESI 515, a big bottle of Surf Liquid Detergent, an IKEA Silver Laundry Basket, and a set of IKEA Chidlren's Clothes Hangers. I will choose the best from the comments made until 11:59 pm of August 18, 2013. This give-away is open to readers residing in the Philippines only. The prize will be shipped to the lucky commenter. The Electrolux Customer Service Hub is located at the Grundfos Building, 5548 Osmeña Highway, Brgy. San Isidro, Makati City. You may also email wecare@electrolux.com or call 845-CARE (2273) to reach the Electrolux Customer Care Team. Nice prizes too bad I missed it! I like the Refresh and Vapor Action features. We rarely iron clothes that's why we buy clothes that are perfect for wash and wear. For Gwen, the vapor action is useful so as not to expose her to allergens. Pag ganyan kaganda washing machine ko, maglalaba na talaga ako hehe.. We bring our clothes to the laundry, that's why. The washing machine being fully automatic with a load sensor is probably the best selling point for a work-at-home mom like me. I can just load the laundry and go back to work. 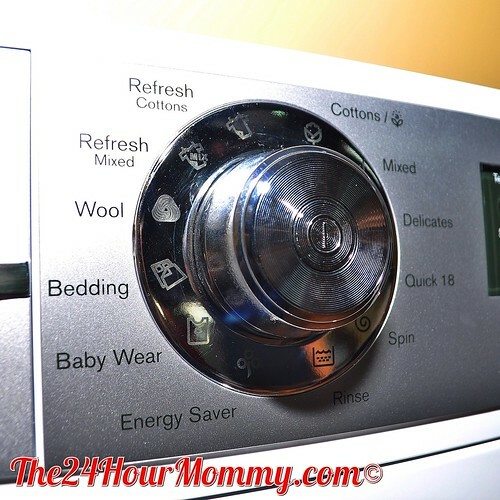 I don't have to check ever so often if the water level is ok or if I put enough detergent. I can even forget about it! Lol. And maybe go back to it after a couple of hours when my work's done to hang the clothes to dry. So convenient! Definitely a perfect laundry day for anyone. Just like you I liked most the Refresh cycle. For a modern, busy, budget-wise mom like me it will surely lessen my time in ironing clothes giving me extra savings on the electric bill. This is perfect for the unpredictable weather condition that we have because you do not have to worry about the kulob smell when you are not able to dry your clothes under the sun with good air. Ooh, I forgot to mention that it also has a Time Delay feature. You just load the laundry in the machine before your sleep then set it to run, say at 6am the next day. By the time you get up, the laundry's ready for hanging! Neat noh? True! Very efficient and energy saving. 24 hours of the day is not enough for a busy person like me. This friendly machine would really help me save some more time to do other scholarly works such as writing and doing research. If Electrolux Time Manager is indeed energy saver, then it is truly great for me who is a truly wise spender. masarap mag laba pag meron ka nito..kahit cguro labahan ng buong pamilya isabay mo na pag ikaw ang nagkaganito. machines, I don't have to spend longer hours just by doing the manual rinsing of clothes with Electrolux Time Manager which I hate the most. Very energy efficient as well. Exactly! You can concentrate on your papers while the Electrolux Time Manager takes care of your dirty laundry. Yes, a fully-automatic washing machine like the Electrolux Time Manager is the answer to your problem! That is so cool! I want one na! hahahah donyang donya lang ang peg ko habang naglalaba. I love all the features of Electrolux Time Manager. It's perfect for me who juggles running our business at home, tutoring my daughter after her class and doing household chores in between. This will give me more quality time to bond with my little girl and my husband. For me definitely the "Load Sensor". It not just detect the load of your clothes it also helps you to recommend the right amount of cycle and detergent which will save you time, energy and water. With that, you have more time for family than doing the laundry which is really great! I think Keisha will also have fun doing the laundry with you using the Time Manager. Nakakaaliw manood sa front load eh. I think Kesha will also have fun watching you do the laundry with this front loader. Agree! More time for "me time" too! I love this feature, too! 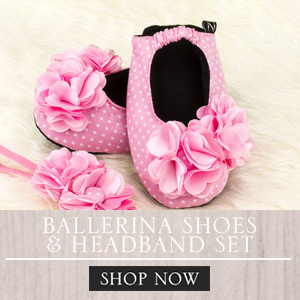 Perfect for moms who love to save! Electrolux Time Manager is just awesome,it helps us to do other things while washing clothes and share the spare time with my family.What i like also is the Load lifter,we could be at ease that the machine itself will not overloaded and the clothes would be clean and taking cared of.As a full time Mom/Housewife it's like hitting the Jackpot once we have our bestfriend besides us that will help us in our everyday chores such as Electrolux Time Manager. Agree! More and more moms fall in love with the Electrolux Time Manager because of the savings it will bring. wow... now I have time for myself! What I love most is the Vapor Action. Getting rid of the 99.9% household allergen? That is definitely a WOW for me. All I want is for my kids to be comfortable in the clothes they wear. They have sensitive skin kasi. This Electrolux Time Manager is really a mom's bestfriend. It helps save money and provides more time to my family. Choosing this is being smart.